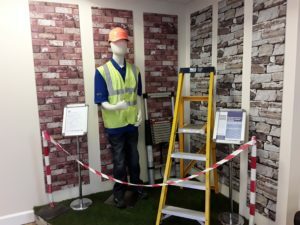 This month our reception display promotes The Ladder Association’s Steps and Ladders For User and Inspections courses, both available here at Britannia. According to the association, falls from height accounted for just under 6,000 non-fatal injuries over 12 months between 2015 and 2016. Both courses are half a day long at £105+VAT, or book both courses on the same day for £150+VAT. Our next dates are 19th July or 3rd September, click here to book. For more information about The Ladder Association click here.